'Tis the season... Starbucks holiday cups, drinks, treats are back! ‘Tis the season… Starbucks holiday cups, drinks, treats are back! Halloween is behind us, and now it's officially time for the holidays. That also means Starbucks is rolling out its holiday cups! There are four new designs this year: red stripes, a green argyle pattern, red and white flames, and one with mistletoe coffee cherries in red and green. The company is also bringing back classic specialty drinks like peppermint mochas and gingerbread lattes. Starbucks is also introducing new holiday-themed treats like sugarplum cheese Danishes and pistachio honey croissants. 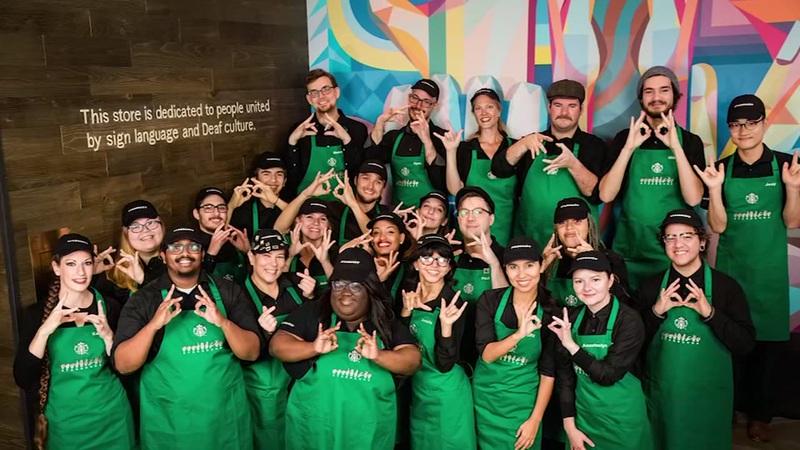 On Tuesday, Starbucks opened up its first store where every employee is fluent in American Sign Language.